Where are all of our race fans? Boy, do we have a recipe for you! That’s right, we’re making a race day pizza racecar! 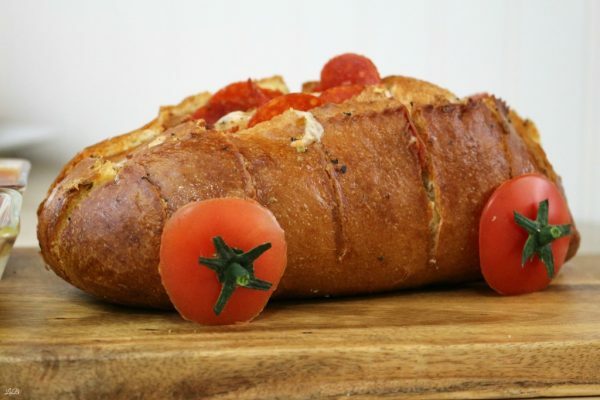 Whether you’re hosting a party for friends or just family, this Italian bread pizza racecar recipe will feed the whole crew. It’s a super fast and easy recipe that will get everyone chattering about their favorite cars and drivers! After a long week with your nose to the grindstone, you want an easy recipe to serve your friends on race day. No need to spend hours in the kitchen to get ready to watch the race – this recipe is fast. 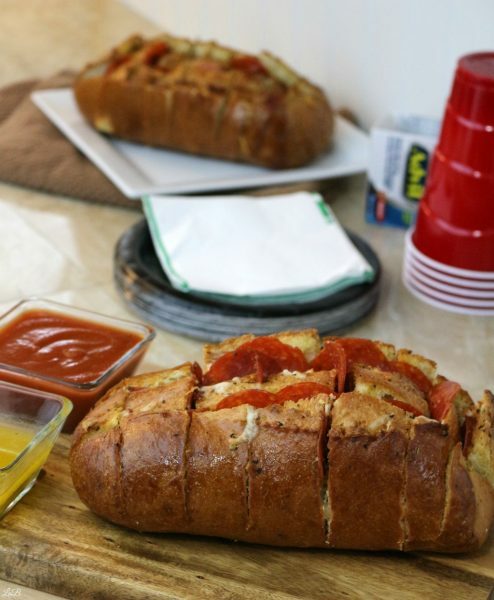 Just throw this pizza bread together, toss it in the oven and you’re nearly done! We’re gearing up to watch the Ford Ecoboost 400 in Miami on November 20th, and I think this funky pizza recipe is just easy enough, and just cool enough for my friends to love it. Nothing will slow me down on race day, not this recipe and certainly not aches and pains. 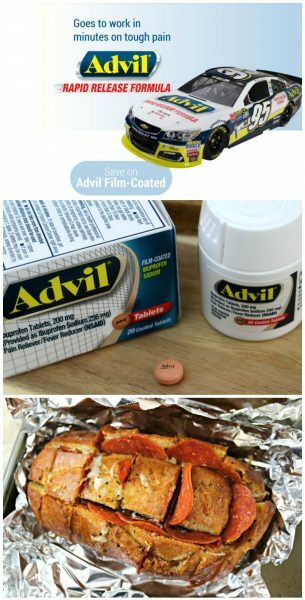 On my way to the finish line with our race car pizza, I’ll be reaching for the fast acting Advil® Film-Coated tablets! I tell you what, I’m achy after this week. I was running all over the place trying to get things done. I’m sure you know exactly what I mean. Well, Advil® Film-Coated tablets with Rapid Release Formula goes to work in minutes on tough pain* – it’s fast acting! So when race day rolls around, I know I’ll be ready to roll, too! I also have a coupon for you: get your coupon here! 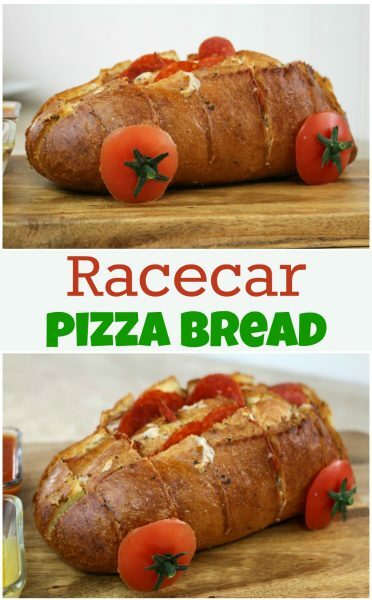 Enough about my woes, let’s make this racecar bread pizza! 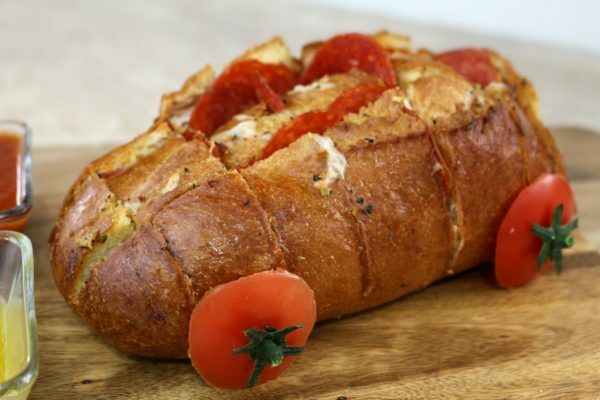 Gather your ingredients including your small Italian bread loaf or loaves, pepperoni, bacon, mozzarella cheese, butter, garlic, oregano, and basil. Melt your butter in a sauce pan and stir in the garlic, oregano and basil. Find the entire printable recipe below. Cut a 1.5 to 2 inch checkerboard pattern into your Italian bread loaf with a sharp serrated bread knife. Don’t cut all the way through the bread, stop your knife about ¼-½ inch above the bottom. Gently work cheese, pepperoni and bacon into the crevices, brush on the butter mixture. 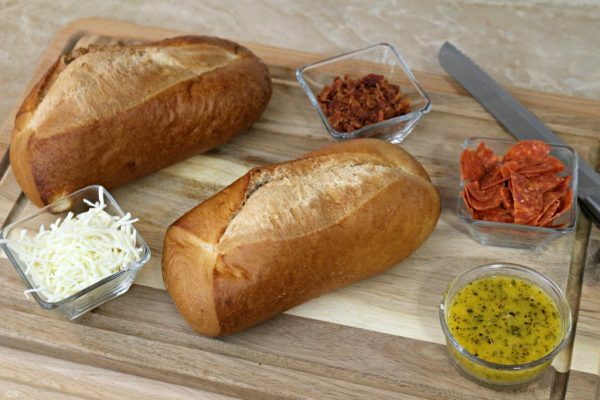 Wrap the bread in tinfoil and place it on a baking sheet; bake in a 400 degree preheated oven for 15-20 minutes. 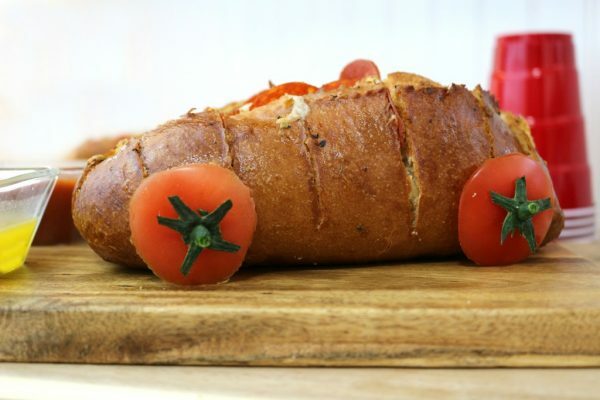 Once out of the oven, slice up a few tomato wheels (attached with toothpicks) and dress it up with more pepperonis or other toppings to look like a racecar! Have fun with it! 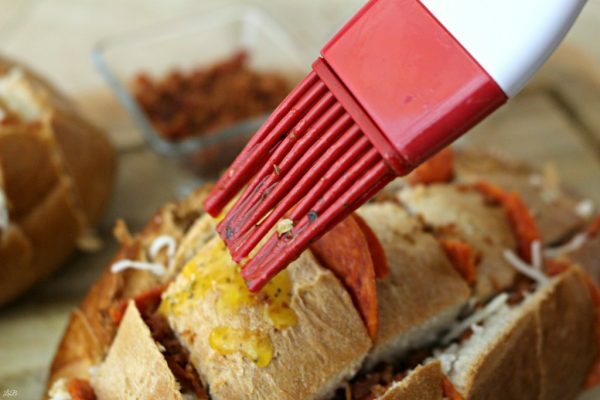 When you’re ready to serve, just cut it up so everyone can have a slice of Italian bread pizza! Now that you have a great recipe to serve on race day, bookmark this page and head to Walmart to pick up the ingredients. 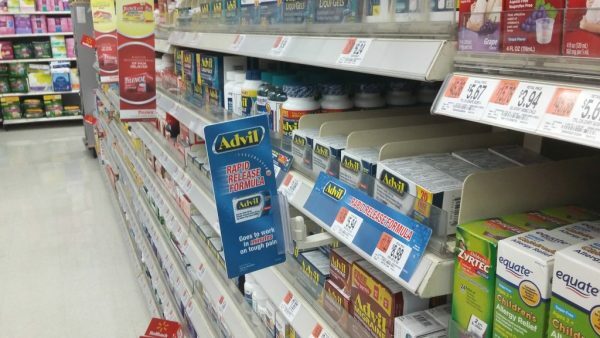 While you’re at Walmart, don’t forget to check out the new Advil® Film-Coated tablets with Rapid Release Formula. You’ll be glad you did. They’re right over in the pharmacy area. Use fast acting Advil® Film-Coated for headaches, muscle aches, back pain, and other aches and pains. Cut it up when you're ready to serve. What’s your favorite way to get ready for race day?